To promote and improve preK-16 science teaching and learning through the integration of pre-service and in-service education and training programs, outreach, and research within the context of a regional university. Education, Science, and Engineering faculty and students will work collaboratively to conduct research and provide teaching and learning experiences for in-service and pre-service teachers in science curricula and pedagogy: science content knowledge, technology, inquiry-based instruction, and appropriate assessment techniques. To develop human resources, enhance science curriculum, enhance community engagement, promote scholarship, and increase material resources for science education. Delaware Valley Earth Force and Widener University have been working together to educate middle school students at Widener Partnership Charter School (WPCS), Stetser Elementary School, and Drexel Neumann Academy about environmental issues in their neighborhood. The goal of this partnership is to teach middle school students to become thoughtful problem solvers while giving teacher candidates the opportunity to practice their science teaching skills in a service learning context. Widener’s Young Scientists Summer Mini-Camp was the perfect place for budding scientists of high school age to explore subjects as diverse as biochemistry, biology, computer science, environmental science, geology, meteorology, and physics and astronomy. The program involved direct scientific experimentation and discovery. It also provided a unique opportunity to meet with college faculty who are also professional scientists, along with Widener undergraduate science majors. Dr. Nadine McHenry is continuing her research efforts to explore professional development opportunities for teachers that will lead to the incorporation of environmental education into their classroom. The EnvironMentors program assists in the development of student leadership as they work alongside professionals and academics from Widener University. STEM Academy students conduct research related to solving environmental issues and reduce the impact of human activities on environmental quality that. The Science Teaching Center has been in existence on the main campus of Widener University since 1992. The first director and originator of the STC was Mr. Charles Beehler, a former science supervisor and teacher for the Rose Tree Media School District. Mr. Beehler saw a need for a comprehensive science education outreach program for the public and private schools in the greater Delaware Valley region. And so the Science Teaching Center was born! Upon his retirement from the University in 1999, Dr. Ling Liang was hired to become the new Director and a visiting professor in the Center for Education. Under her leadership, the STC held science symposia, science workshops, and summer science institutes. Dr. Liang was followed by Dr. Beverly Livingston as the director from 2003 to 2005. Dr. Livingston brought young women from the Chester community into the STC during the summers of 2004 and 2005 to attend a summer enrichment camp. She was also integral in moving the STC from its original home at 115 East Fifteenth Street to its new location in Widener University's new wing of Kirkbride Science Hall. The Grand Opening of the new Kirkbride Hall Wing occurred on Friday, February 4, 2005, officially opening the state-of-the-art, 12 million dollar wing of Widener's science and engineering building. The STC is housed in two adjacent classrooms in Rooms 211 and 213. Each room was designed by the education, science, and engineering faculty to ensure that the space is workable for the needs of elementary, secondary, and university science teachers and their students. Currently, Dr. Nadine McHenry holds the title of director of the STC. Dr. McHenry has been working in science education for 30 years. During that time, she has worked at the Schuylkill Center for Environmental Education and The Franklin Institute Science Museum and has consulted with many different school districts to enhance science education through professional development. Her research agenda focuses on the implementation of inquiry-based teaching and learning, teaching the content of science through literature, interdisciplinary teaching and learning, assessment issues, and standards-based curricula. Dr. McHenry has a doctorate from Temple University and has been at Widener University since 2002. The STC is looking forward to providing professional development of middle school teachers in inquiry and environmental education, services, networking opportunities, and funding to support efforts needed to provide best practices in science education. Dr. McHenry has been working in science education for 30 years. Nadine McHenry, Ed.D. (ncmchenry@widener.edu) is the director of the Science Teaching Center. 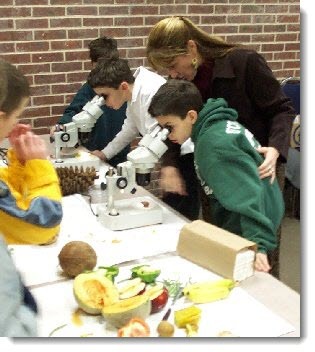 Dr. McHenry has been working in the field of science education since 1981, teaching science in both formal and non-formal settings including several different elementary schools in Delaware County, the Schuylkill Center for Environmental Education, and the Franklin Institute Museum in Philadelphia. She has provided professional development experiences to hundreds of science teachers in the region and continues to present both locally and nationally on topics like inquiry-based teaching and learning, interdisciplinary teaching and learning, standards-based science curricula, and alternative assessment in science classrooms. In addition, members of the advisory committee include faculty from Widener University's Center for Education, College of Arts of Sciences, and School of Engineering. Bruce Grant, Ph.D. Louise Liable-Sands, Ph.D.
Dana Olanoff, Ph.D. Eamonn Tweedy, Ph.D.
Itzick Vatnick, Ph.D. Xiaobao Li, Ph.D.
Harry Augensen, Ph.D. Zora Wolfe, Ph.D.